In my post "Studies Have Shown" from July, I pointed out that the strategy of backing baseball shorties has become profitable in recent seasons, after years of this sport being the poster-boy for the reverse favourite-longshot bias. At the time of that last post, 2015's profit was a solid 7.45 points, and this has since climbed to 24.00 points with the subsequent 90 qualifiers generating another 16.55 points. 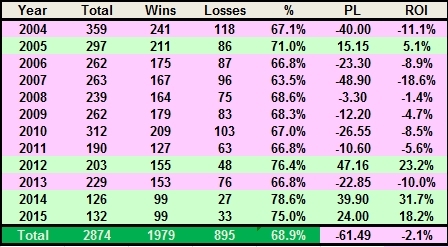 A more complete look at this strategy going back 12 seasons is below, and I'll update this again at the end of the season. 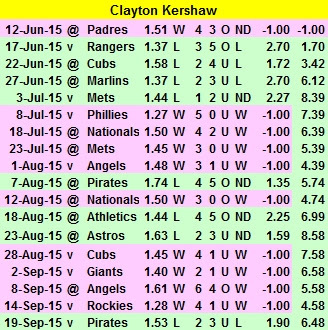 That 1.28 on 14th September was only the second sub 1.30 price this season (the other being Kershaw's 1.27 on July 8th). There was also only one such price last (2014) season, and that was also a Kershaw game. The King of Bloggers! As the saying goes, Once a King, always a King, but once a Knight is enough. Enjoy the blog, but got to disagree with this. I'm always interested to hear what others are making especially if they are fellow pros. Hearing how others are doing adds motivation to improve in ones own betting. Also have other people, both people in the game and regular Joes ask how much I make. What I meant to say was that blogs stating only the profits or losses are not very interesting, it's the context that makes the outcome interesting. Reporting that Football was +£2.34 on the week tells readers nothing. 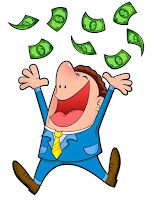 It could be that he had one winning bet or had a hundred bets with thousands staked, ending up with a meagre profit. Then there's the issue of trusting the numbers, although I really don't think too many people can keep telling porkies for too long. Losers rapidly lose interest in telling the world that they are, literally, losers and winners find it easy to add a little context and keep the updates coming. Admittedly, some choose to adjust the numbers and exclude bets with unfavourable outcomes, which is up to them I guess, but hardly makes the numbers meaningful to anyone at all. There's also the issue of what does the win or loss mean to the writer. We're not all the same in wealth, age, stage in life or responsibilities. Reading about a win of say £500 and half the readers are wetting their pants, the other half are wondering how many hours of time did that win take and was it worth it. What was the opportunity cost? £500 after 100 hours of intense trading is quite different to £500 made on a punt while you were outside, smelling the roses. All pros are not created equal either. Some have huge banks to play with, others are living on state handouts incapable of being gainfully employed, and 'pro' by default. That (opportunity cost) is probably the biggest reason why I think profit and losses are only of interest to the individual. If you think about comparing salaries, it is far more interesting to compare yours with those of your colleagues than it is with someone in a completely different line of work. You likely have similar qualifications, put in approximately the same amount of hours as your colleague, and perform a similar job, so any differences are extremely interesting (and probably extremely irritating to someone). It might add motivation to know what your boss is earning, but I don't see how it is motivating to know what your brother's friend with a different IQ, different qualifications, different job, working more or less hours than you makes. I'm not a rocket surgeon, so whatever they earn is meaningless to me. I'm also not unemployed, so what they get in handouts is also meaningless to me. 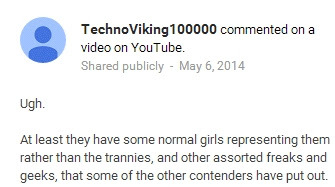 I'm not sure what kind of company TechnoViking keeps, although I can guess based on his Eurovision comments above, but in my circles it's considered extremely poor taste to ask people how much they make - "absolutely disgusting" in fact. I'm also not sure what Techno's rather unhealthy obsession is with people who are different from him, but it's disappointing to see that such sentiments still persist. Live and let live. Right, time to listen to a Eurovision winner who like to dress up - the great music is just a bonus. The blog is actually still running but I've made it 'by invitation only' to avoid any further aggravation. My journey continues! You would of course be a very welcome reader. The latest post actually recorded a loss after many winning weeks, but Big Pairs is still well ahead. The most eye-opening blog post of the week was once again from Australia, where Steve M revealed a couple of surprises. 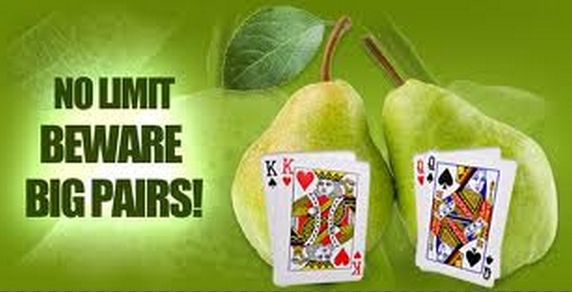 My own personal experience with problem gambling started when I was 18 and I started playing the poker machines. I lost hundreds of thousands in my early 20’s and fortunately for me I looked into the maths and psychology behind the games and realised that I was never going to win. I’m your average aussie dad who likes to bet as a hobby. I see it as a mental challenge and believe that given the chance, I can use skills in maths and other areas to make a small profit from betting. 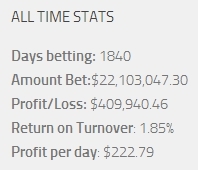 I am a bit different in that over the past 5 years I have managed to make a profit. The numbers thrown around are that only 2-5% of people make a profit from betting. I don’t always win, over the last year if we added my sports betting and Horse race betting together, I made a loss. While Aussies like a bet as Steve mentions in his post, I wouldn't agree with Steve's self-assessment that he is an "average Aussie Dad betting as a hobby". The sums that Steve puts down on outright punts are, to my mind at least, huge! The post is actually an open letter in connection with an Australian government inquiry into offshore / on-line gambling, so Steve has every reason to play up his 'averageness' and play down his winnings, but if betting AUD 12,000 a day (£5,500) is "average", Australia has a few more problems than I knew. Next thing he'll be telling us he has 2.4 children. New in-trading focused blogs spring up, but not many last the distance. I'm actually not aware of any long-running legitimate in-play blogs now that Mark Iverson has departed the scene. The latest that have come to my attention are Tennis Trading and Big Pairs, and how long they last will be interesting to see. A little over two months later and Tennis Trading told me to go away, so may or may not still be active, but Big Pairs blog has now vanished almost as quickly as it began. Soon after I started my blog back in October 2014 I began receiving comments from an individual called ‘James’. His comments became increasingly abusive and aggressive and eventually I had to block him from posting. Sure enough, a week or two later, he reappeared as ‘Anonymous’ and did exactly the same thing. I blocked all anonymous posts and then recently, presumably after his summer holiday, he reappeared as ‘Jonesy’. Last night James/Anonymous/Jonesy posted a comment full of defamatory remarks, false accusations and general abuse, none of which are remotely founded. I’ve chosen not to publish it, or respond. In the whole time I’ve been blogging here and posting on Twitter I have probably been very lucky to have only experienced this one internet troll. In fact I’ve made some good friends, received advice from a couple of intelligent, very helpful betting professionals and enjoyed a huge amount of support from people in a similar position to me. Unfortunately the internet allows keyboard warriors like this to make their comments without retribution. It wouldn’t happen in the real world, but online there are sadly thousands of people with these tendencies. As a result of this abuse, which is getting gradually worse, I have decided to end the blog here. I could just block all comments, but if someone is willing to take the time to create three separate identities to continue with these personal attacks, then who knows what they are capable of. I will continue with my journey and share progress with the guys I’ve got to know well in private. Thanks to everyone who has taken the time to read the blog, offer advice and share their experiences. Good luck with your betting and trading. Whatever the real reason for closing the blog down was, and it would indeed be disappointing if one troll were the reason, it's yet another blog dying a relatively early death. If you are successful in any endeavour, there will always be those envious of you, and a long-running blog is certainly one of the surer signs of lasting profitability. Human nature, as has been said before, makes it easy to continue something that is going well. When things don't go well, it's human nature to lose interest. For the record, Steve's been blogging for at least five years I believe. To put it mildly, I’ve had to deal with my fair share of trolls over the years. Like anything new, I had to learn to deal with it and at the start my method was to try and make them understand how dumb they were. Trolls feed off replies, it is their lifeblood. Knowing that they have made any type of impact gets them all sorts of aroused. These poor lost trolls were living such sad lives that they needed to feel any connection they could and would do what used to get them attention as a child. They would simply act out. I went from hating these morons to actually feeling sorry for them. That Big Pairs was able to attract a troll so soon after starting should have been taken as a compliment. No one trolls losers after all, and while most of us are not as nice as Steve and able to feel sorry for them, it is satisfying to know that their trolling is an implicit admission that they are not as successful as their targets. The irony is that if they put as much effort into learning from the advice and knowledge shared as they did into their trolling, they would be better off. Once again though, the mindset of a troll is probably incapable of understanding that. The term "free money" is eye-catching, but like much in advertising or marketing, it is often not exactly true. Fellow blogger Peter Webb has a post with this title today looking at the short prices on international (mis)matches. While internationals are generally not of any interest to me from a betting perspective for a number of reasons, Peter's words on 'shorties' were interesting, mirroring my own observations on them in the top leagues. 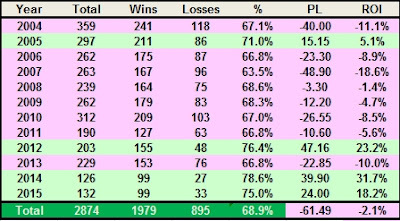 Using Pinnacle's prices for the three season 2012-15, backing every selection at 1.05 or shorter has a 100% winning record. Mind you, the competitive nature of league football means that there was only one qualifier in those three seasons (Barcelona v Celta de Vigo, 26 March 2014) so we need to lengthen our search. Looking at those selections with an implied probability of 75% or greater, sub 1.34 in decimal odds terms, there were 516 candidates, of which 437 won for a 17.539 point profit (ROI 3.4%). So the curious thing is, that there is probably value at that end of the market, but why won’t anybody take it? The first thing to note is that nobody will recommend it. If you do and it gets turned over, people will remind for the rest of your life. Therefore it’s safer to ignore it or pass it off. Second, there appears to be little satisfaction at grabbing value at short odds. Land a 60-1 and you are a god, pinch some cash at 1.04 and you are a moron. The third element is staking. If your staking is inconsistent then the one loss could kill a whole bunch of positive results. Human nature will rear it’s head again and the ‘sods law’ fallacy will prevent you from pressing the button if you use a larger stake or a progressive staking process. So I suspect value gaps like this will probably always exists, because human nature will always get in the way and stop people from exploiting it; even if there is (effectively) free money on the table. While many ill-informed punters are of the opinion that backing odds-on selections is a losing strategy, the truth is to the contrary. Value can exist at any price, including 60.0 and 1.04, and an ROI of 3.4% over 516 bets is a great result. When you consider that Pinnacle's prices can usually be beaten (although whether higher prices are available to you is another thing altogether) this simple strategy is, in practice, even more profitable.